"Powerful. 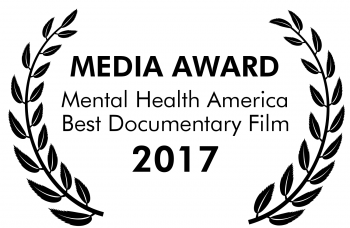 Buried Above Ground will contribute to reshaping the way our society thinks about mental health issues." "A gripping look at the effects of post-traumatic stress disorder"
"making a good case along the way that PTSD is something to take very seriously and treat with compassion and concrete solutions." "Must see. Buried Above Ground is an outstanding piece of work from a director who treats both his subjects and their demons with knowledge, dignity, grace, and warmth." ​BURIED ABOVE GROUND follows three Americans who are fighting ongoing battles with post-traumatic stress disorder (PTSD) - Luis, a combat veteran and author who has emerged as a leading advocate for PTSD awareness; Erundina, a survivor of child abuse and domestic violence who has battled addiction and relapse for many years; and, Ashley, a New Orleans resident whose home was destroyed by Hurricane Katrina and returned to confront the aftermath. BURIED ABOVE GROUND embeds deeply and equally inside the lives of its three subjects over an unprecedented six year journey. Using subjective framing, observational footage, and intimate interviews, the film unfolds with Luis, Erundina, and Ashley essentially narrating their own stories. Scenes provide intimate and chilling access to powerful moments that illustrate how the road to recovery is long and fraught with obstacles. Their therapy sessions, home life, and efforts to embrace community come together to provide an unmatched lens on a complex and often chronic disorder. Slowly, with fits and starts, each of the three subjects begins to unburden themselves from the crippling lock of their past traumas. Luis learns to cope through the bond he forms with his service dog Tuesday and by becoming a mental health advocate. In the wake of evacuating Hurricane Katrina, Ashley returns to New Orleans to rebuild herself, her home, and her city. After a lifetime of abuse, Erundina wages an ongoing war for her sobriety, while putting herself through college and repairing the relationship with her estranged son. In the end, the storytelling landscape of BURIED ABOVE GROUND is focused on the chronic concerns of PTSD and is rewarded by the observation of nuanced gains in Luis, Erundina, and Ashley's respective paths toward recovery. We witness three compelling individuals and their longitudinal arcs build on one another - interwove stories that become one powerful narrative that illuminates a global health condition that is misunderstood, underreported, and too often left untreated.